When teaching the pooches basic commands, we also taught them a corresponding hand signal. When we can we use both verbal and visual commands to elicit an action from the dogs. We've noticed recently that they each have a preference. Edison responds much better to visual commands. When given a verbal command alone, he is significantly less likely to respond. Tess, on the other hand, responds much better to verbal commands, although we still throw in the visual commands as well. Do you use visual commands with your dogs? Which do they respond to better? Good job teaching them both commands! We use both also and the dogs respond to both though being the dull knife in the drawer, Norman is better with the verbal commands. The visual commands were SO helpful when Kaya was younger because the verbal commands would get her waaaay too hyped to concentrate on the actual task. She is now extremely responsive to the slightest flick of my hand for signals...I love it! Yes! I think that is why Edison responds so much better to the hand signals -- we used them SO much when we first brought him home because just talking to him amped him up! 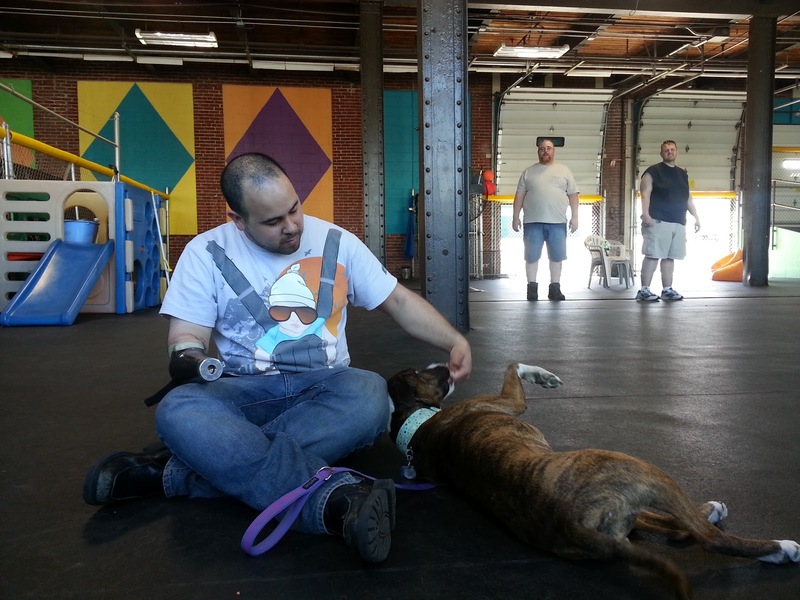 We always use verbal commands but we've thrown in a visual command for sit, look and touch. We use both and I always applaud folks for teaching both! I had a deaf foster and it helped tremendously that I knew the hand commands and got me thinking that you never know what could happen (hearing wise) so better to know it all!